From Val: I am SO excited to bring Steven May and Davit T Pisarra’s important work to you. Everyone goes through relationship hell at some point – it’s important to be prepared and to safeguard your furrkids as well as your children. I’ve been divorced too, but fortunately I knew how to communicate with our cats so they had a voice in the process and they stayed safe, sane and as happy as possible. Do you have a plan that helps ensure their needs are met, that they don’t get sick or neglected (or hurt), and that they have a voice in what happens to them? After listening to our chat, you will be better prepared on all accounts. Enjoy! 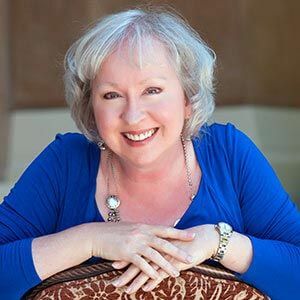 Pet expert Steven May and family law attorney and newspaper columnist David T. Pisarra are the co-authors of the first book that explores a dilemma facing an increasing number of pet parents each year. In the case of a divorce, separation or break-up – who gets the dog? 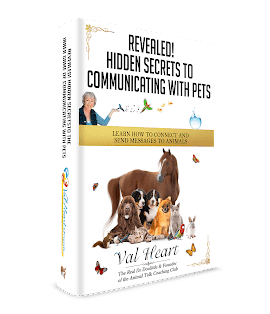 “What About Wally – How To Co-Parent A Pet With Your Ex” is part How-To and part How-Not-To guide into the realities of this potentially traumatic issue. 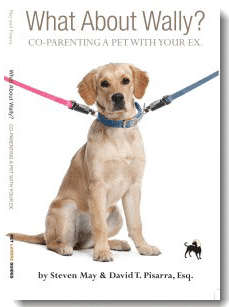 Practical legal advice and thoughtful dog behavior guidance sit alongside heartwarming real life stories and personal anecdotes from the authors own experiences in co-parenting a pet with their ex’s. Our relationships with our pets have changed and they’re now more a part of the family than ever before. We know the pain that many children go through when their parents are divorcing and it’s similar for our pets. By taking the steps to make sure the transition is as smooth as possible, both the pet and the pet parents benefit. * How are dogs viewed by the courts in a divorce? * How to I protect myself if I want custody or joint custody of the dog? * Are their similarities in divorce court between pet parents and the parents of children? * Why is co-parenting good for the dog? * Are dogs affected by their owners divorce? * What are some steps to make the transition as smooth as possible for the dog? You will also love my blog post “Top Three Things a Pet Owner Needs to Know About Sharing a Pet” Click here to go to this article!